Day 2 of my coffee rehab is almost complete. I’ve not been at all bothered by my lack of coffee today, although I did look at the machine when I was on my lunch in work. I was good though. I turned away and didn’t look back. If I’m going to do the non-coffee, I’m going to do it properly. Afterall… I’m getting used to the taste of tea. If I’m being perfectly honest, I’ve never been a tea drinker. 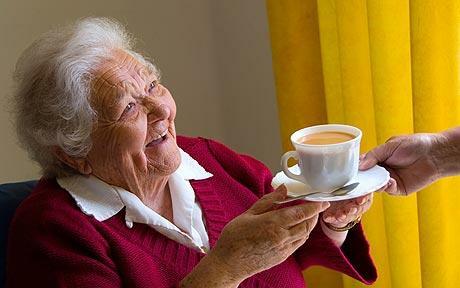 Tea was just for the elderly… Or for when I was ill: But even I can’t deny that tea tastes so much better when served in a real china cup, and it makes you feel all posh. 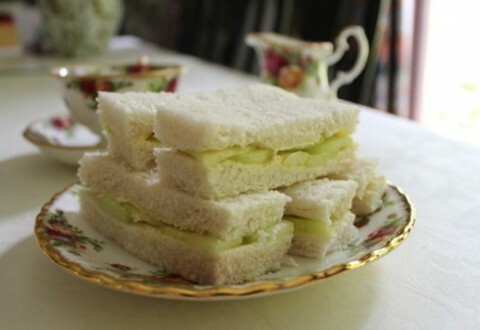 Someone pass the cucumber sandwiches. Drinking tea out of a mug, like I have been doing, just isn’t the same. Anyway, I thought that I would have a quick look at the hair dyes, mainly to get a price on any ‘super bright’ ones that I could use to ‘dip dye’ my hair. Last time I bought an auburn cherry coloured dye, which looked ok but not great, and I’ve always wanted to dip my hair again. Normally, nothing catches my attention, and it’s just various blondes, reds and browns that line the shelves, however this must have been a sign. Excuse the nails. I am in desperate need of a manicure. These three caught my eye. All three are semi-permanent, and according to the box, usually last between 8-12 washes. Because of the colour of my hair, this would probably mean that it would last about 3 months in mine, until it gradually washes/fades away. 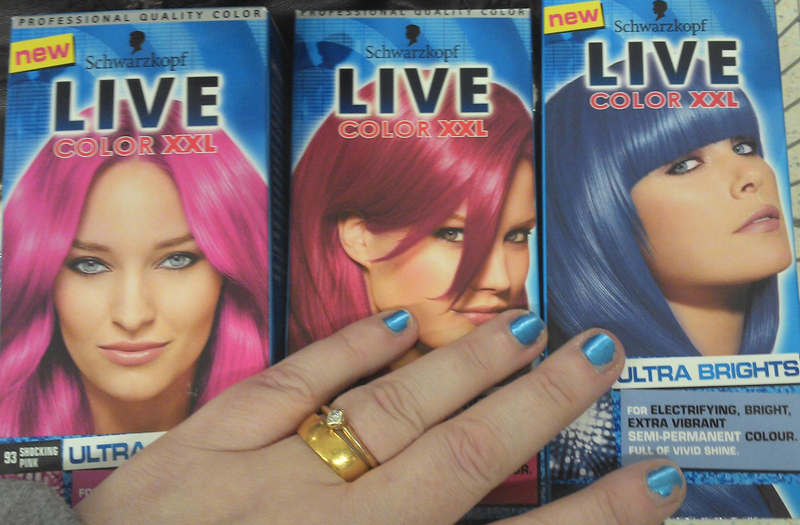 Shocking pink, raspberry and electric blue. I liked the blue and the pink, although the more I starred at them, the more I wasn’t convinced. The blue wasn’t enough of a statement, but the I thought the pink was too much. Hence, I bit the biscuit (so to say), and I bought the raspberry. 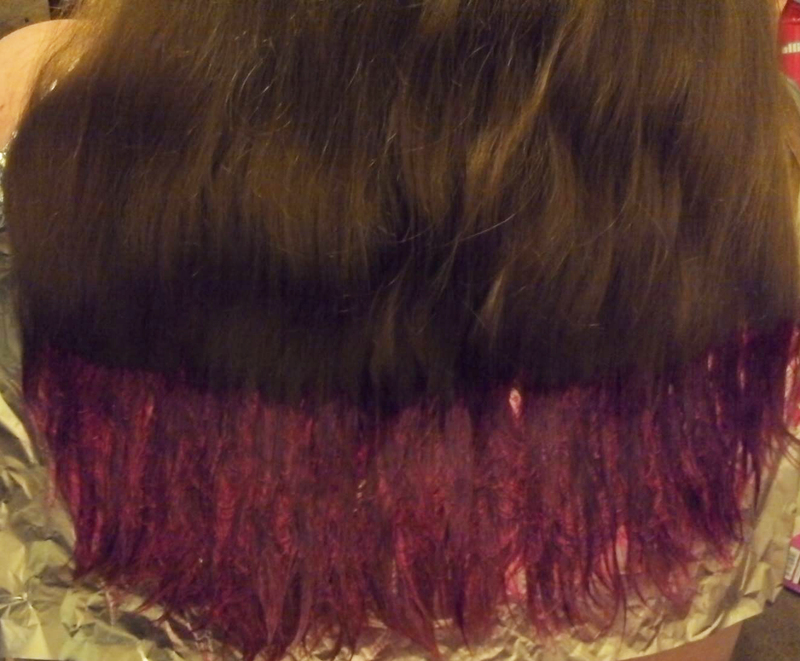 You normally always apply a permanent dye to dry hair. One of the differences between semi and full is that you’re supposed to apply a semi to damp hair. Oops. 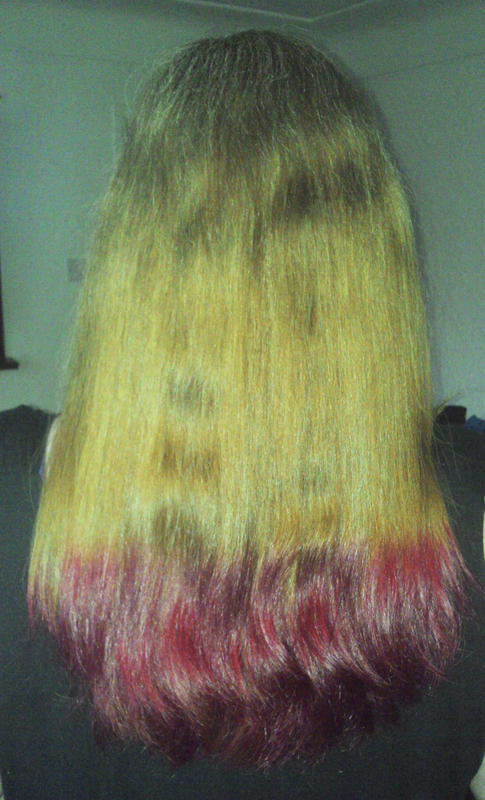 Anyway… I think it would have only made a big difference if I was going to be having the dye all over. As I was only having it ‘dipped’, or in this case ‘painted’, I didn’t think it would make much of a difference, and may even be more vibrant. 45 minutes later, I was out of the shower, and hair was wrapped up in a towel. As with any big change, I was rather anxious as to what it had turned out like, but I was patient, and only dried my hair 20 minutes after having it wrapped up. Not the best picture in the world, but it didn’t come out too badly, huh?